It’s SO easy to make a melted crayon pumpkin and it’s really fun. 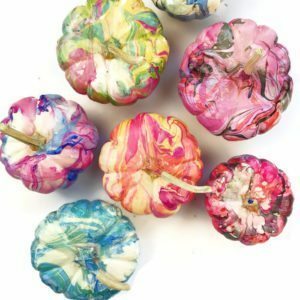 If you are looking for a fun no-carve pumpkin decorating idea, this melted crayon pumpkin is the perfect craft for you. 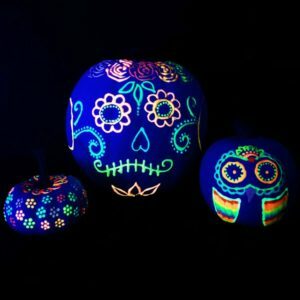 It’s also a great pumpkin decorating idea for all ages. The hardest part is taking the paper off the crayons, but there’s an easy way to peel the paper off! I give you all the details below. Unwrap the paper from your crayons. An easy way to do this is to use a small exacto knife (I don’t recommend kids do this part). I promise you…the exacto knife saves SOOO much time. Cut the unwrapped crayons in half. Glue the crayons around the pumpkin. I used 16 crayons. Place the pumpkin on top of cardboard or garbage bags. Use a hair dryer to melt the crayons. Start with a low setting, it will be easier to direct the flow of the crayons melting. 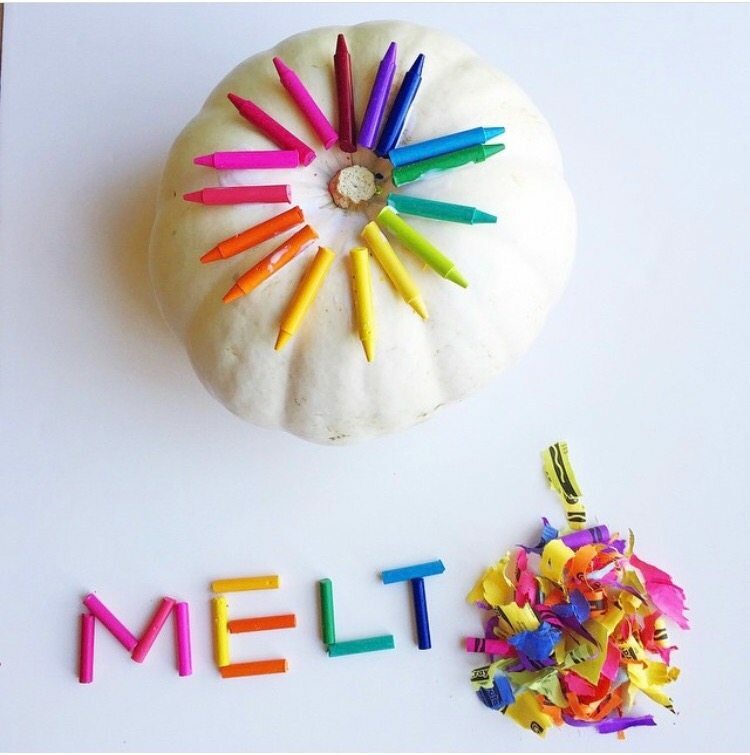 While it’s fun to make this melted crayon pumpkin in rainbow colors, try mixing up the color palette. Wouldn’t it be great to do an ombre version as well! 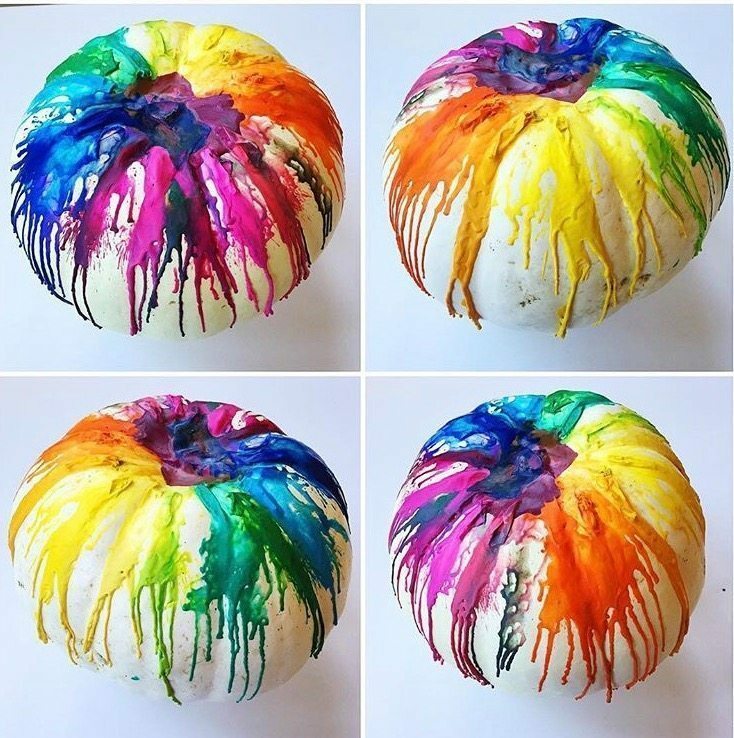 Or see what happens when you make a melted crayon pumpkin using only 2-3 colors. There are so many different ways to make this fun no-carve pumpkin. For more fun crafts, make sure you’re following me on me on Instagram @Colormadehappy and Facebook. And be sure to come share what if you’ve created if you’ve been inspired by one of my posts. I’d love to see it. 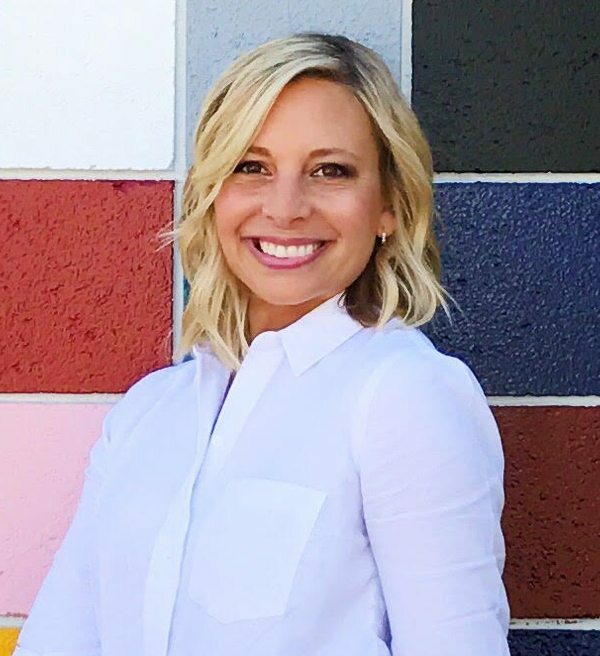 So glad you’re inspired! It’s SO fun. It should work the same. Probably plastic pumpkins would work best and using an acrylic sealant afterwards. Are you using a big pumpkin or a smaller one like with the nail polish? Also what kind of glue are you using and how long does it take to dry? I was thinking maybe a glue gun would be really quick. What do you think? I used a a big pumpkin! I think a glue gun would actually work better than the craft glue I used. 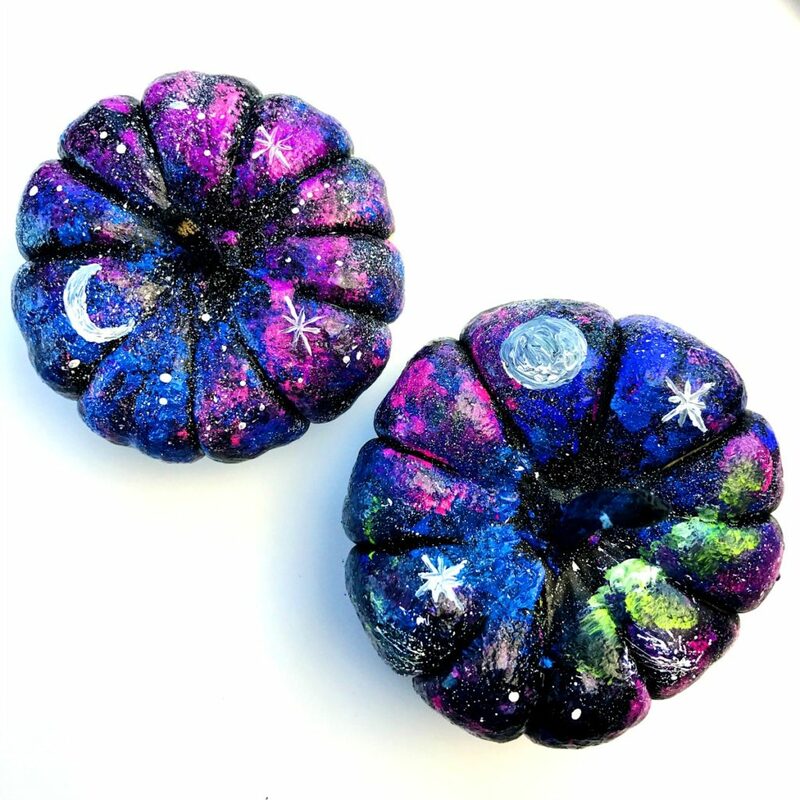 I made one of these – first, I painted the pumpkin a purple ombré and then did the crayons. I used a glue gun and if worked great. Do you have a picture? I’d love to see it. Thanks. 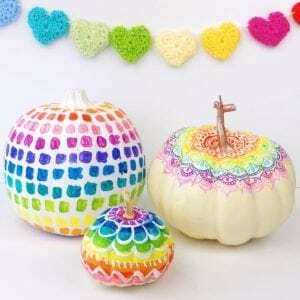 Would like to try it on small pumpkins with shaved crayon pieces or small chunks to see what patterns I could make. Interesting idea. You’ll have to let me know how it works. I am a respite provider for a group special needs girls. The is going to be our Saturday activity. Thank You! Wonderful! Glad you found some inspiration. How long does it take for the crayons to melt? They melted quickly. I don’t remember how long exactly but with my dryer since it heats quickly I think it was maybe a minute or 2.